Airrane participated in Hannover Messe 2018 show as exhibitor from April 23 to 27, 208 in Hannover, Germany. We promoted our gas separation membrane modules and biogas up-grade unit to German and European customers. 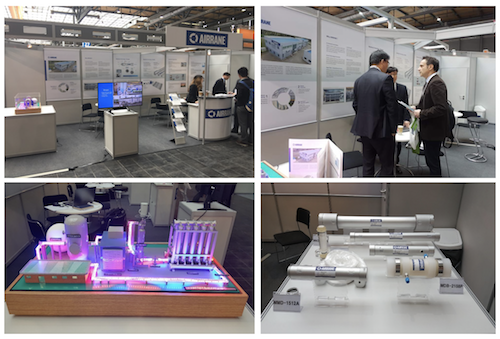 Many customers were interested in our biogas up-grade unit and gas separation technology such as H2 purification, CO2 capture, membrane dryer and nitrogen generation.